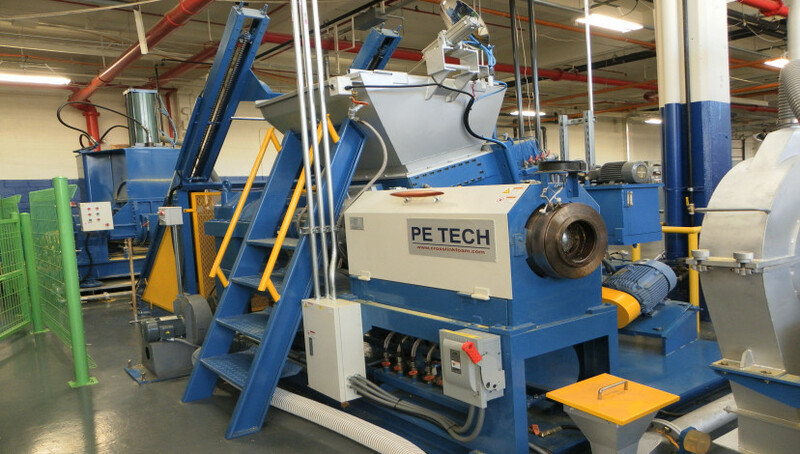 PE TECH is a manufacturer of Chemical Cross-linked polyethylene foam sheet production line. 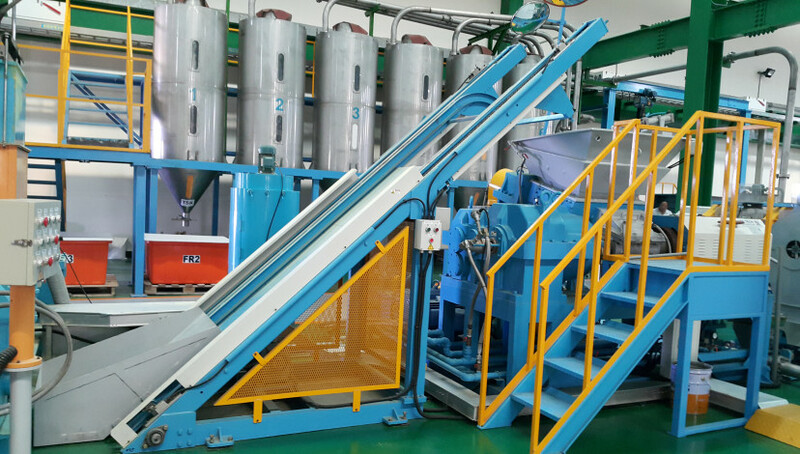 (aka XLPE or PE-Xa) XLPE, Chemically crosslinked polyethylene foam, is crosslinked by DCP(Peroxide) raw material. 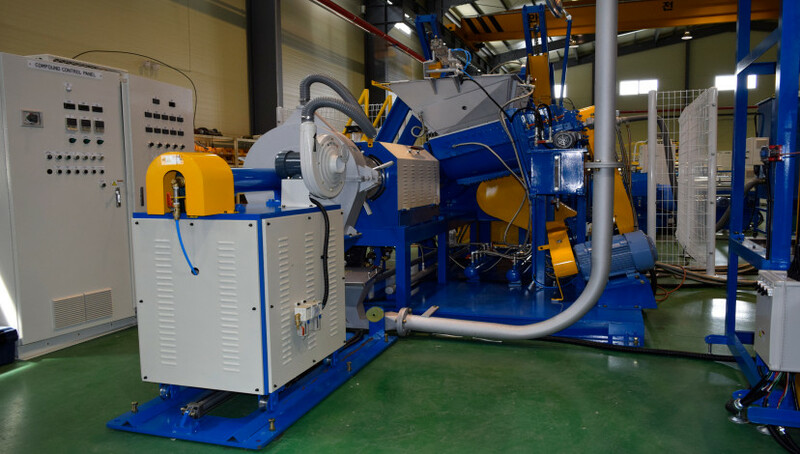 It is produced in continuous rolls resulting in a foam product with uniform, closed cells and smooth surfaces on both sides. 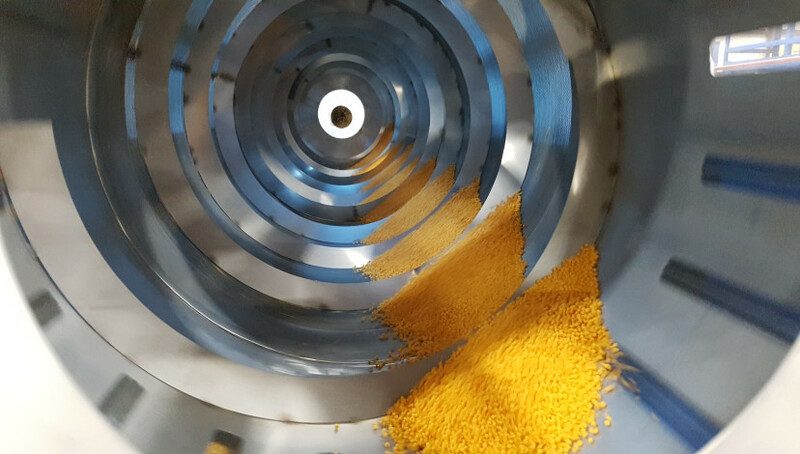 XLPE foam is also available in sheets. 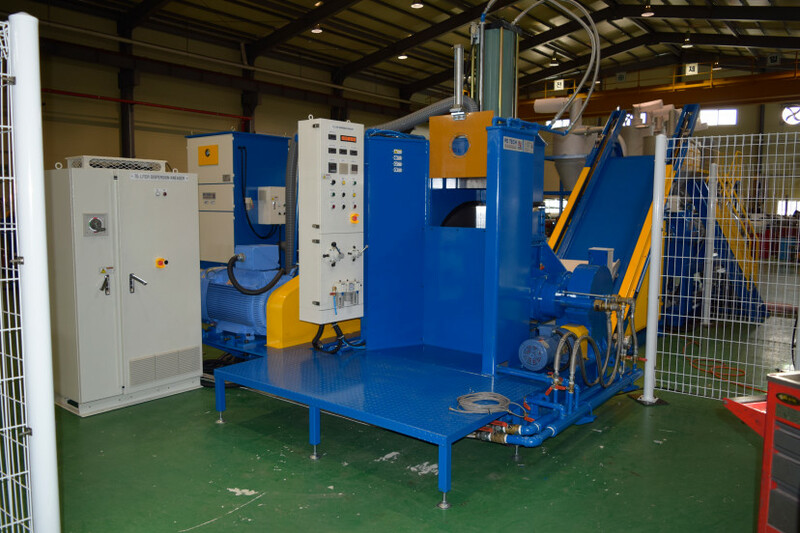 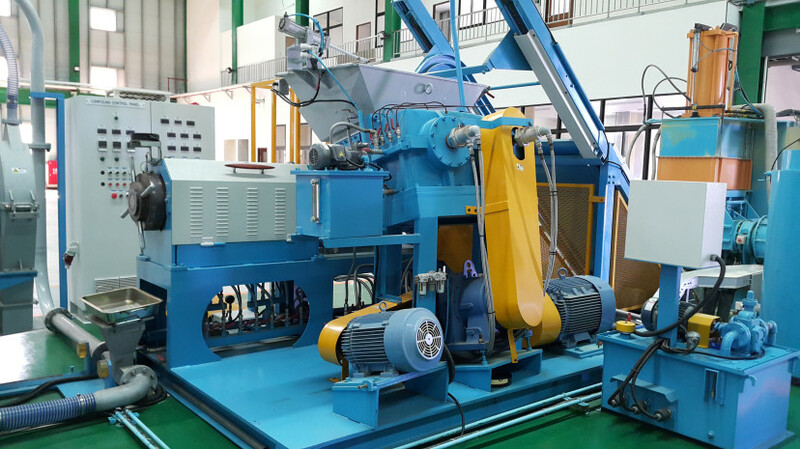 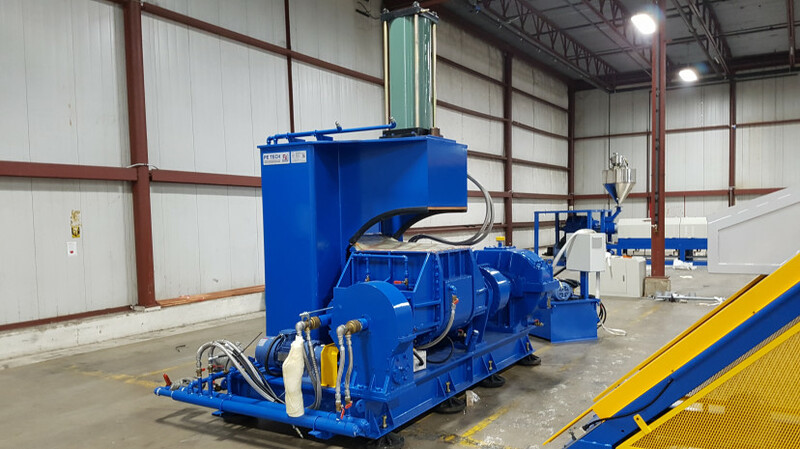 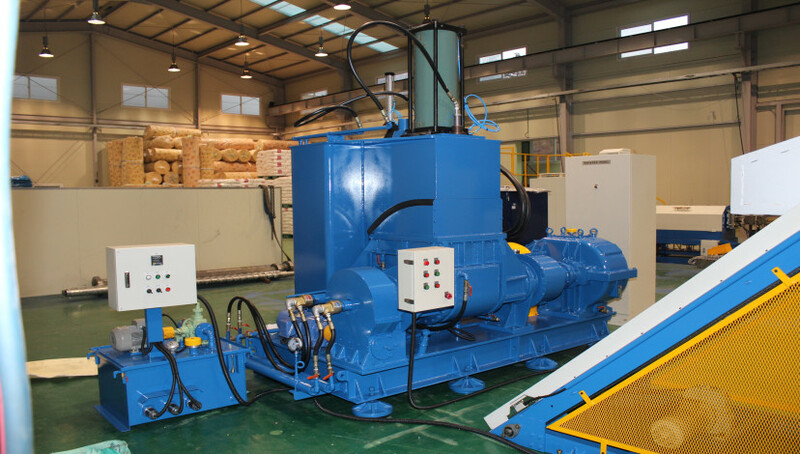 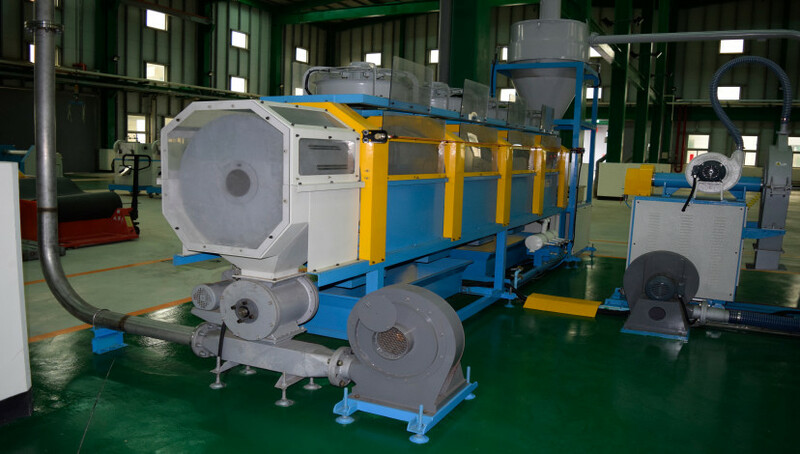 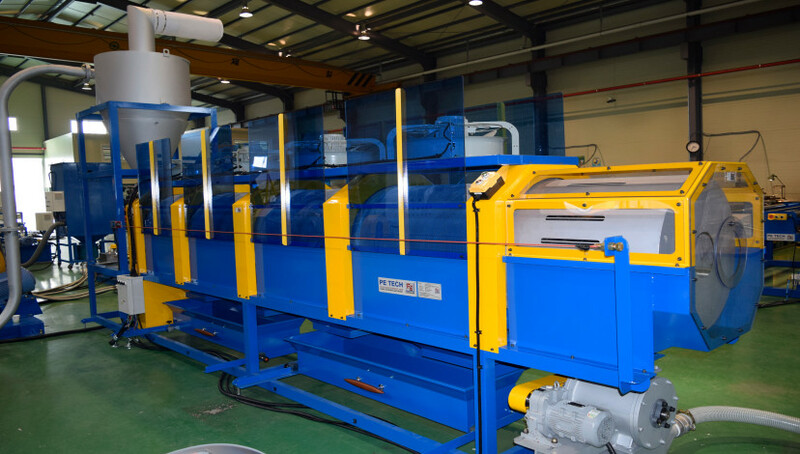 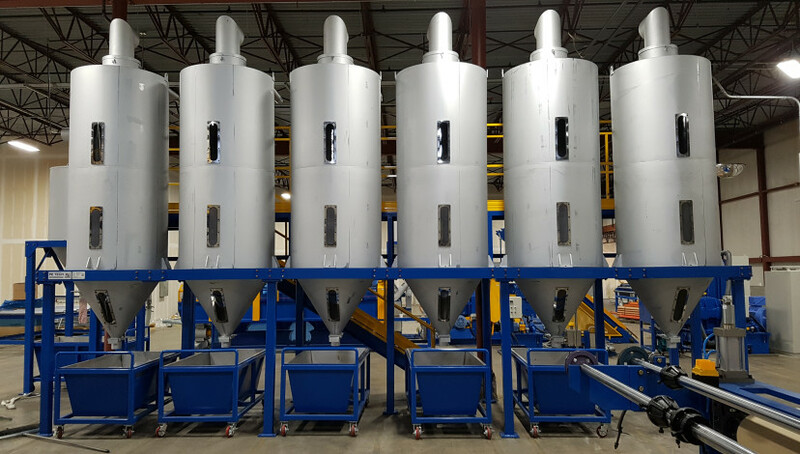 This Mixing line is partial of the XLPE and IXPE foam production equipment line and in this section, different raw materials are heated and compressed through the kneader to create one integrated material and are part of a production process that is absolutely necessary. 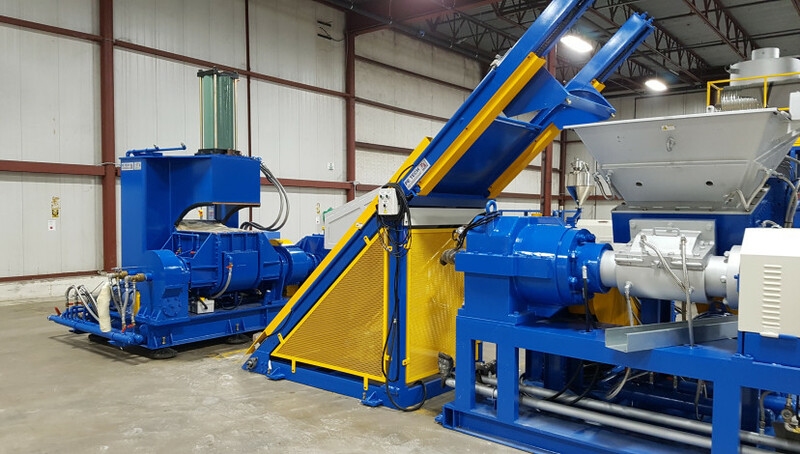 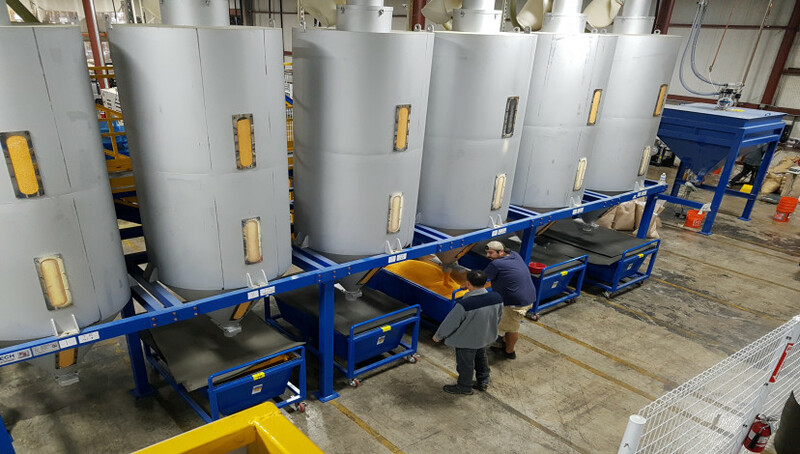 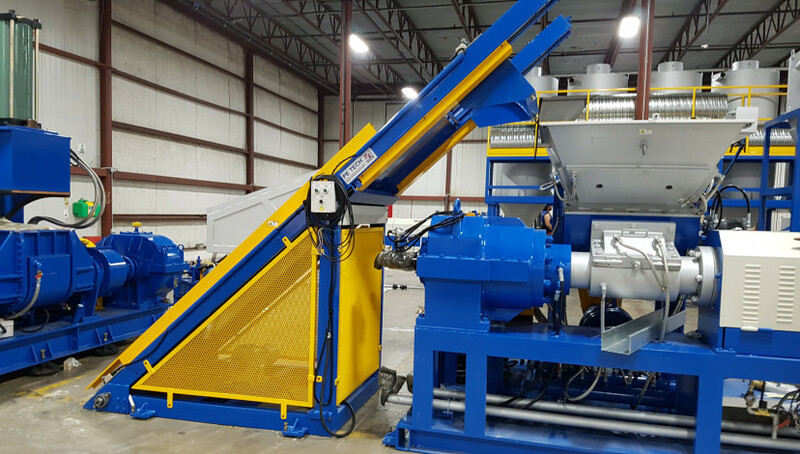 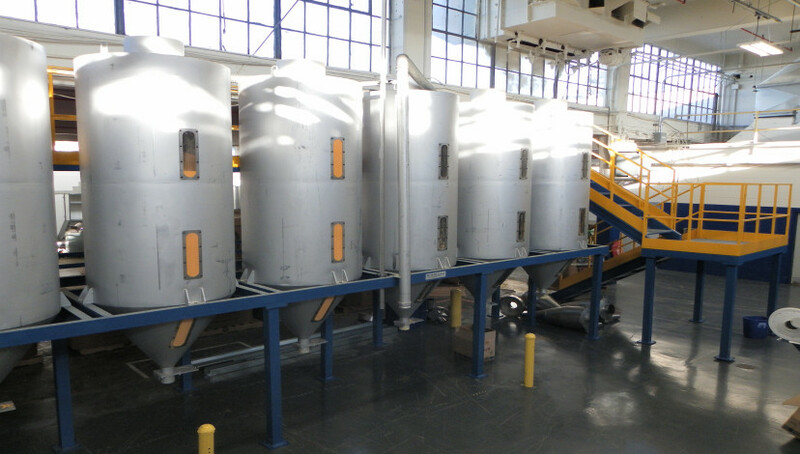 The mixture is moved as it is to the conveyor unit and transferred to the pelletizing extrusion.